The bond between a mother and her child is one of the hardest to break. It’s undeniable that a mother has a sixth sense about her children, especially when there’s something amiss. In the case of the Greenbrier Ghost, death was no obstacle for a determined mother to find out what happened to her daughter. Greenbrier County, the location where the Greenbrier Ghost gets her name. 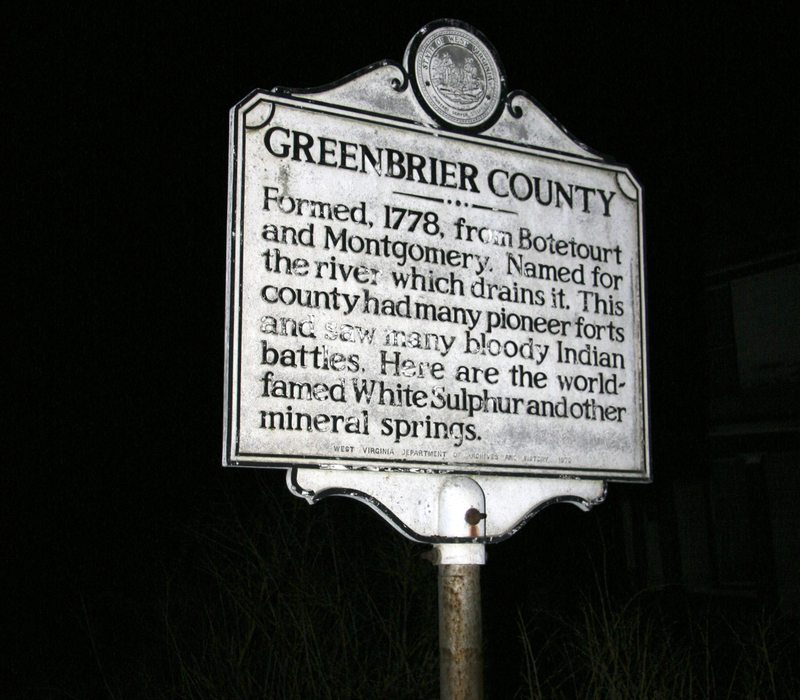 It all began in West Virginia, in a small rural county called Greenbrier. In 1873, Mary Jane Heaster gave birth to a daughter who she named Zona–a Greek name, not very common at the time. Not much is known about Zona or her upbringing except that at age 22, she had a child herself…out of wedlock as it would turn out. Back then, having a child out of wedlock wasn’t as commonplace as it is today. In fact, it was often frowned upon. It can be assumed Zona dealt with a lot of judgement and rejection from those around her. This may be why she was so quickly attracted to a drifter that strolled into town one day. His name was Edward “Trout” Shue and he was working at the local blacksmith shop when he first met Zona. A whirlwind romance quickly followed their meeting and within a month, they were married. Zona Heaster and Trout Shue’s wedding photo. Zona’s mother, Mary Jane, took an instant dislike to the handsome, smooth talking blacksmith who preferred to go by the name “Trout.” Perhaps it was just his personality that rubbed Mary Jane the wrong way. Or the fact that he was over 10 years older than her daughter. Or maybe it was a mother’s intuition. Either way, she was on to something, because Trout had a dark history that would later come to light. But by then it would be too late. They were only married for three months when the marriage would come to an end. Zona was discovered by an errand boy at the foot of the staircase with her feet together and a hand on her stomach. A doctor was called, but it was too late. Zona was dead. By the time the doctor arrived, Trout was already there. He carried his wife upstairs, dressed her in a high-necked dress with a stiff collar and washed her body. Unusual behavior when the job of cleaning and dressing a body was usually done by the women in town. The doctor examined Zona’s body and noted some bruising around her neck. He was unable to perform a thorough examination due to Trout’s unusual behavior and emotional outbursts. The doctor determined that Zona died from “everlasting faint” but later changed it to “childbirth,” even though no one knew for sure if Zona was pregnant. 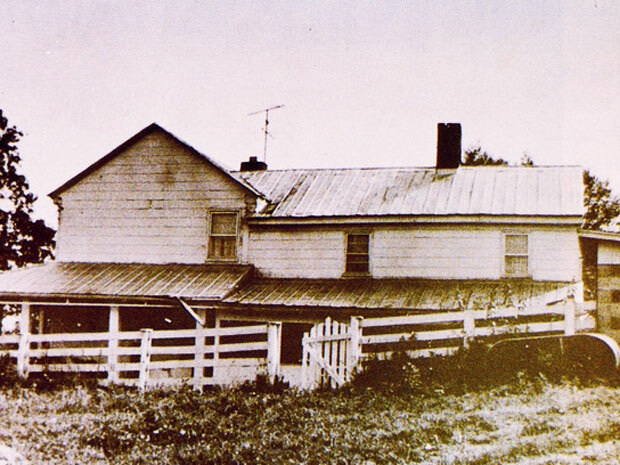 The house where Zona was found dead. Needless to say, suspicions were on the rise. Guests at her funeral mentioned that Zona’s head seemed to twist and flop around before her body was placed in the casket. Trout ended up using a pillow and sheet to hold his dead wife’s head in place. He also insisted on tying a scarf around Zona’s neck, insisting that it was her favorite. More unusual behavior, he wouldn’t leave Zona’s side and wouldn’t allow anyone to have a close look at her. Zona’s mother, Mary Jane Heaster. 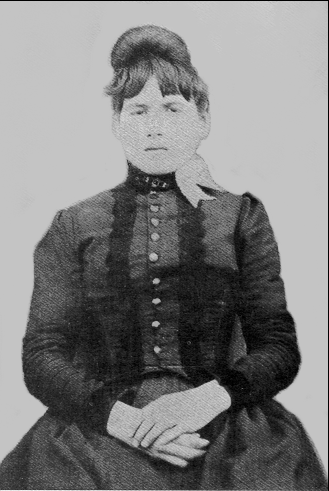 Zona’s mother, Mary Jane, was convinced her daughter had been murdered by Edward “Trout” Shue. When she heard that her daughter was dead, the first thing out of her mouth was, “the devil has killed her.” Following her daughter’s funeral, Mary Jane prayed that her daughter would come to her and tell her what happened. According to Mary Jane, that prayer was answered. 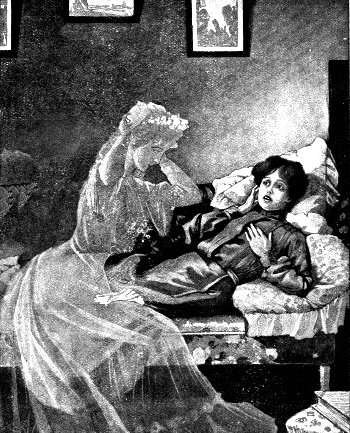 Four weeks after her daughter’s death, Mary Jane reported that Zona had appeared to her in a dream. What started off as a bright light, slowly took form as her daughter. The ghost of Zona claimed that Trout Shue was a violent, abusive man, who often beat her. On the day of her death, Trout flew into a rage and broke Zona’s neck. To prove this, the ghost slowly turned its head 180 degrees so the back of the head was facing Mary Jane. According to the ghost, it was all because Trout was upset over what Zona had cooked for dinner. Mary Jane’s visions occurred for four nights total, enough to convince her to go to the local prosecutor and insist her daughter’s body be exhumed. The prosecutor was reluctant (and rightfully so) to reopen the case based off a silly ghost story. But Mary Jane was determined. She contacted neighbors who attended the funeral and the doctor who examined Zona’s body. Their testimony was enough to convince the prosecutor to exhume the body and reinvestigate the cause of death. Of course, Trout Shue did all he could to put a stop to the investigation, but he was ignored. Trout probably also resented the fact that he was required to attend the three hour autopsy that followed the exhumation. Just as the ghost had said, Zona’s neck had indeed been broken. Between the first and second vertebrae, to be exact. But that’s not all. Her windpipe was mashed and on her throat were the marks of fingers, indicating she had been choked. 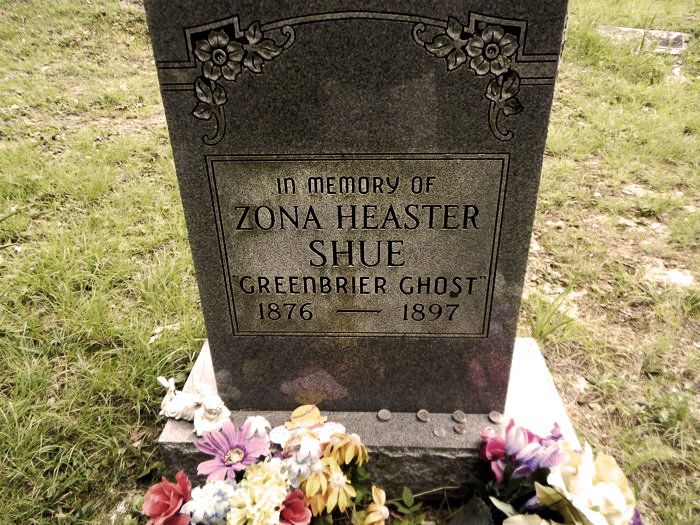 There was no doubt at that point that Zona Heaster Shue had been murdered. Her husband, who had been standing by, was quickly arrested and put on trial. Trout Shue had a dark past that was brought to light during the trial. He had been married twice before. His first marriage ended in divorce with his ex-wife asserting that he had been cruel to her. His second wife mysteriously died less than a year after they were married. The prosecution’s star witness was Zona’s mother, Mary Jane. Great measures were taken by the prosecutor not to bring up the ghost story. The defense, however, saw it as their chance to discredit Mary Jane and asked her all about the so-called visitation from Zona (who would later be known as the Greenbrier Ghost). It backfired. Mary Jane stuck to her story and the jury believed her. Edward “Trout” Shue was convicted of murder and sentenced to life in prison. That sentence wasn’t good enough for some in town. A lynch mob was assembled to capture Trout and hang him on the spot. Lucky for Trout, the deputy sheriff was able to disband the mob and save his life. Mary Jane Heaster never backed down from her story. 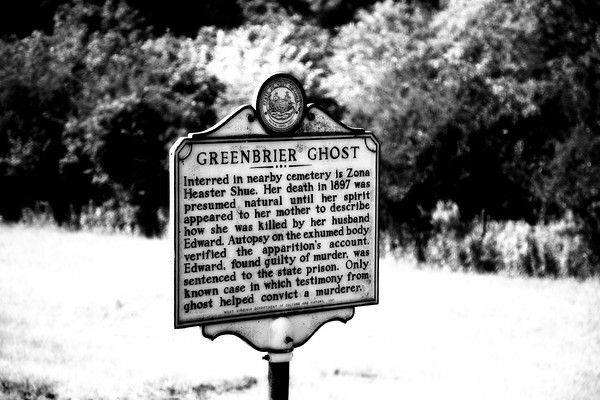 She passed away in September 1916 having never seen her daughter’s “Greenbrier Ghost” again. As for Edward “Trout” Shue, he served the remainder of his life in prison. 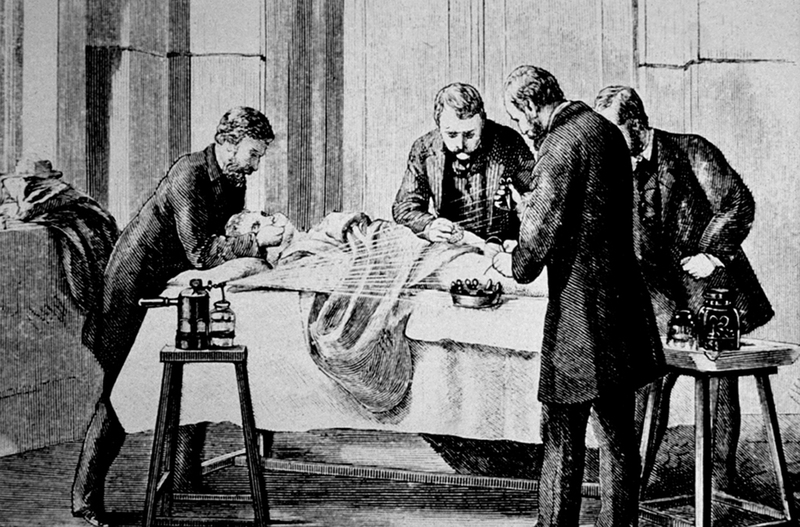 He died on March 13, 1900, the victim of an unknown epidemic. Do you believe the Greenbrier Ghost was real?